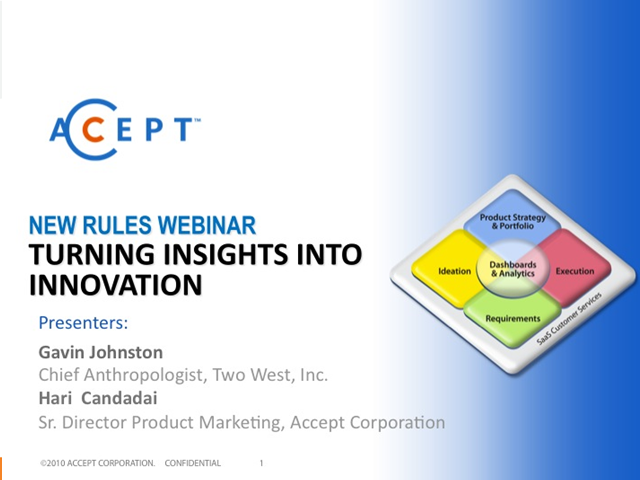 Gavin Johnston, Chief Anthropologist of Two West Inc., will provide product teams and developers with a step-by-step guide for turning interesting insights into actionable plans to develop products based on features that customers actually need and will pay for. This webinar gives product managers, marketers and researchers a practical road map to successfully incorporate this innovative approach to help grow their brand. Gavin Johnson, Chief Anthropologist, Two West, Inc. Presented by: Gavin Johnson, Chief Anthropologist, Two West, Inc.